On April 22, 1970, millions of Americans peacefully protested the U.S. government to mobilize the environmental movement. That day became known as Earth Day—still celebrated every April 22. Today, the marches carry on as the world faces unique environmental threats like climate change. When April 22 rolls around, make a stand for these important values by attending a local event here in Arizona. Every small bit helps towards inspiring action and proving that no matter who is in charge, the environmental movement marches on. For the past several years, Steele Indian School Park has hosted Phoenix’s Earth Day celebration. Keep Phoenix Beautiful—a non-profit working to preserve and protect the environment since 1982—presents the event. The day includes eco-classes, exhibitors, music, and food. Attendees are encouraged to take alternative modes of transportation to the event to help celebrate the occasion. Last year’s Earth Day celebration in Flagstaff included over 1,600 attendees, 40 local organizations and vendors, in addition to live performances by local bands. The impact of the event grows with each year. Workshops, vendors, and table events can be expected. Volunteers are encouraged to meet at Heritage Square for a community clean up. The Tucson Earth Day Festival has held a community celebration of the environment since 1995. Held at the Children’s Museum, this annual festival includes environmental displays and activities, alt-fuel vehicles, and a community led parade. Various exhibits are set up for children to participate in hands-on activities related to the environment. Exhibits are related to wildlife and water conversation, hazardous waster, and waste minimization. On Earth Day, several groups in Sedona come together to help preserve one of Arizona’s most beautiful cities. Vendors can be expected on site to provide education about environmental preservation, sustainability, and green living. Kids will also have the chance to play on inflatables and make crafts. Guests can also enjoy great food and live music. The Arizona Sonora Desert Museum provides a uniquely Arizonan perspective of the natural world. This 98-acre museum is dedicated to showcasing the rich wonders of the Sonoran Desert. Their exhibits cover the many habitats, animals, plants and minerals that make up Arizona’s desert. They also lead the way in conservation and research programs for the Sonoran Desert. Children grades K-6 are encouraged to participate in the Earth Day Poetry Contest. Students entering the contest will write a poem about their observations and feelings about the Sonoran Desert. Winners will be selected on Earth Day and will be invited to read their poem at a reception. No Earth Day celebration has a name quite as tantalizing as Planetpalooza. One glance at the festival’s itinerary proves that it’s a fitting moniker. Planetpalooza kicks off with the New River Trail Cleanup. Hundreds of volunteers coming together in an effort to clean up litter and debris along the New River trail system. Afterwards, the day will turn into an all-out festival dedicated to celebrating the Earth’s natural resources. Food, music, art, and various vendors will be on hand throughout the day. Guests have the opportunity to learn about sustainable living, participate in environmental workshops, and even plant a tree for Arbor Day. The animal kingdom relies on the protection and conservation of the environment. The Phoenix Zoo does their part by participating in conservation programs aimed towards protecting the populations of endangered species. They lead many green initiatives including recycling programs, water conservation, and making recommendations on Earth-friendly products and practices. Come support their efforts with a trip to the zoo on Earth Day. The 125-acre zoo houses over 1,400 animals including 30 endangered or threatened species. Through exploration of the zoo, you’ll be able to learn more about these creatures and how to protect the animal kingdom by going green. If you don’t know about Bat Day, head to Kartchner Caverns. Every year, a small colony of myotis velifer, a species of bats, migrates back to the cave. The bats return to Kartchner Caverns and to live out the summer in “the Big Room” where they give birth, raise their young, and teach them how to hunt. The bats return around April 15 every year—a date that coincides well with Earth Day. Every April, the state park hosts family activities, presentations, and guest speakers to educate the public on these bats. Visitors can also take guided tours inside the cave but are encouraged to book well in advance as bat day draws big crowds. What better way to celebrate Mother Earth than with a trip to one of the seven natural wonders of the world? 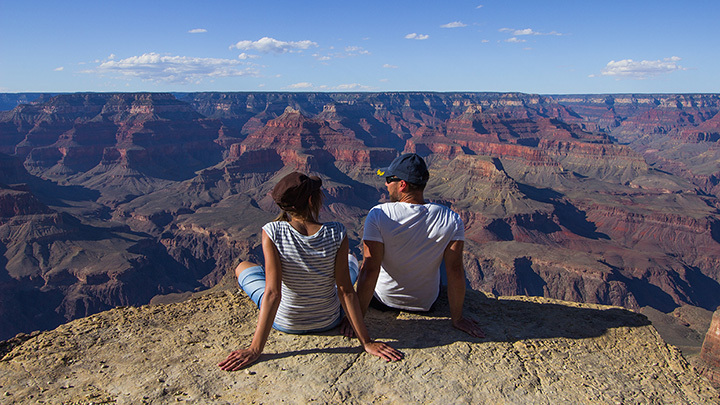 In honor of Earth Day, Grand Canyon National Park will offer free admission to their park. Their annual celebration features games, educational instruction, and information about environmental initiatives on a local and national scale. Arizonan’s can take a trip through time at the Arizona Museum of Natural History. The museum includes over 60,000 objects of natural history, anthropology and art. Visitors of all ages will enjoy the many exhibits dedicated to bringing forth the wonder of the Southwest over the course of billions of years. This hands-on museum has many special exhibitions dedicated to exploration of Arizona’s natural world. The Arizona Museum of Natural History is renowned for their archaeological and paleontological research programs. A trip can bring forth a new perspective on the Earth through time.